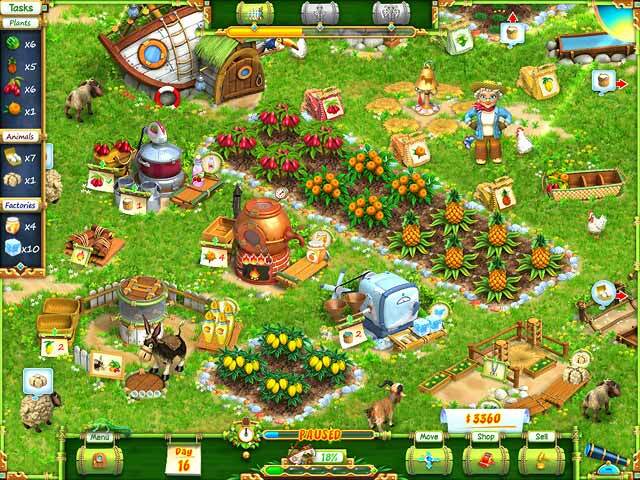 Manage your very own farm! Hobby Farm is rated 4.8 out of 5 by 45. 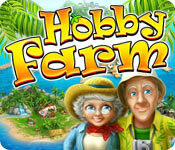 Rated 5 out of 5 by amylmenke from Cute and fun game An older couple gets stranded and decide to start a farm. It's a really cute and fun farming game. 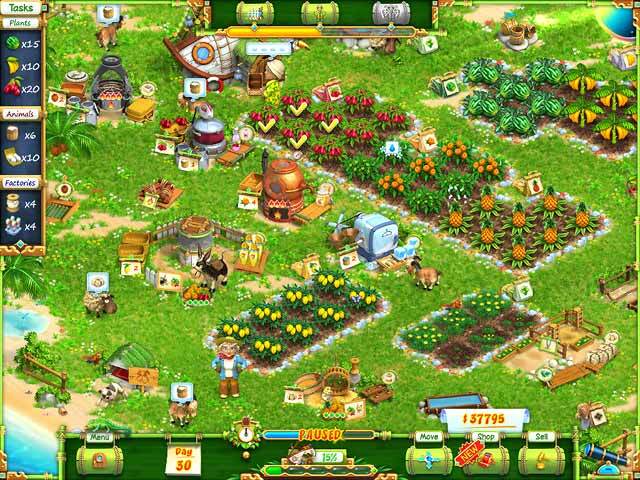 It is just like My Farm Life 1 and 2, so if you like this game, check those out. Good amount of goals to hit and you create items using the items you grow or harvest. Highly recommend it. Rated 5 out of 5 by MerlinandJosie from Excellent Absolutely love this game - played the timed version. It's a game you can come back to time and time again. Graphics great - just difficult enough not to be annoying!! Rated 5 out of 5 by Timain from One of my Favourites I originally bought this game in 2012 after seeing a few pretty good reviews. I played it through back then and I have gone back to it multiple times over the years. Whenever there is a lull in games to play and I think what to do next, I either end up with this one, All My Gods or Fairy Godmother Tycoon.. I love how relaxing this game is. It can be a bit challenging to get all the gold stars if you don't prepare things beforehand, but if you fill up machines whenever you have time to spare, especially before a new level, just before you hand in the last item, it gets quite easy to handle. I find the music very fitting, the graphics adorable (I LOVE the donkey!!!) and the overall atmosphere just perfect. If you like Time Management games I would definitely suggest you give this one a try! Rated 5 out of 5 by paramiti from One of my Very Favorite TM Games!! Purchased this game 5 years ago Since that time have played it MANY MANY TIMES!! Absolutely LOVE this type of TM Game Wish we could see more like it JUST BUY IT!!! Rated 5 out of 5 by out_2_lunch from This game is very entertaining! relaxed or timed ... this game is simply fun! I only wish they would make a Hobby Farm 2 as I have played and completed this one MANY times!! Rated 5 out of 5 by Bwgirl from Enjoyed it Much! Waiting for a 2nd version! I got this game awhile back. I really like it. Good clean fun! Waiting for Hobby Farm II to come out. Maybe take them to a different Island? Rated 5 out of 5 by deetjitro from Awesome Game! i love the pace of this game and the graphics are good too. Although it might needed a SKIP option on the beginning of the tutorial, because I have been playing it over and over again and as a returning player, I need no tutorial anymore. Hm... plus, the game might do better with a shelf for items yet needed. I am looking forward for the continuation of this game, if there's any... There SHOULD be! hahaha. Jill’s dream has finally come true! She has her very own farm on her very own island. 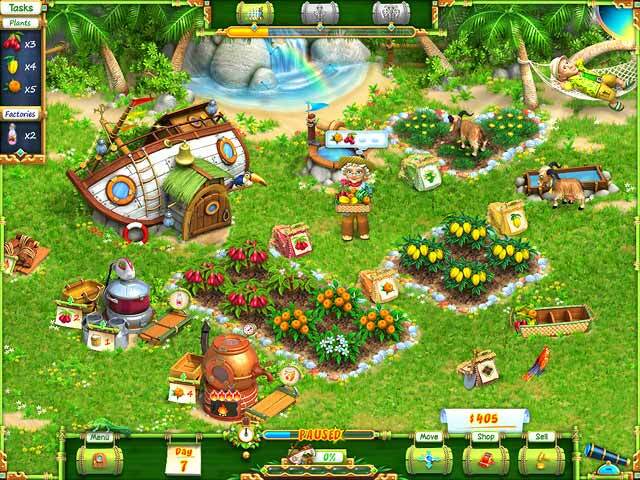 Harvest exotic fruits in Hobby Farm!